Hidden in Downtown Disney's Mickey's Pantry is The Spice and Tea Exchange. This store located inside a store is only 1 of 19 in existence with more to come. 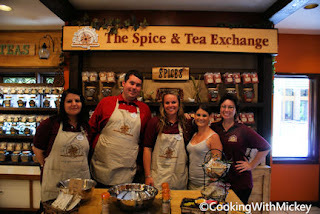 The Spice and Tea Exchange sells gourmet seasoning, spices, herbs, teas, sugars, sea salts, blends and rubs made with their own recipe and only sold in their stores. 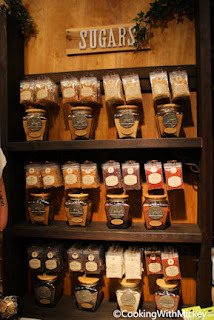 Next time you are in Downtown Disney make sure to stop inside Mickey's Pantry for these great gourmet items. 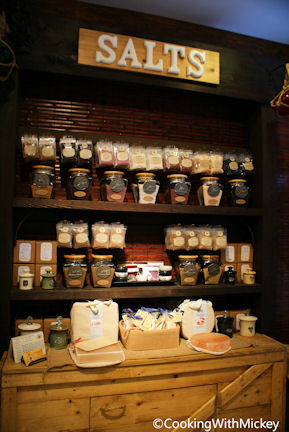 On display you'll find each of the products so make sure to take a sniff. 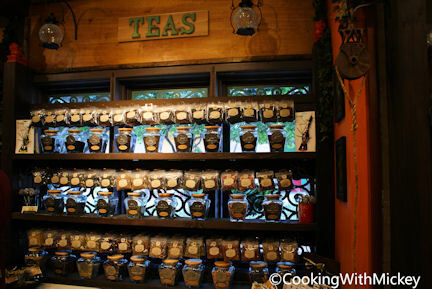 In the past I've picked up the Coconut Oolong and Uncle Fillbert's Nutty Dessert teas and several of the spice blends. 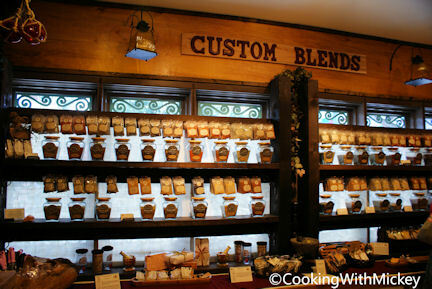 Check back as I'll be sharing some of my dishes I've used these spices to season.